Healthy skin is an important part of natural beauty. So it is necessary to clean the skin every time. Below are some secrets to achieve a naturally good skin. Diet plays an important role in maintaining the skin. In our diet vitamins, proteins and minerals are essential. For oily skin take Lemon juice in a bowl of iced water. Spray this on the face, massage for 5-10 minutes and then wash by water. The skin will become normal and fresh. For dry & rough skin take Egg’s yellow part and mix in few spoon Lime ( Chuna ) and Olive ( Jaitun ) oil. Spray on the face 10-15 mini. Wash by cold water. Natural Tips for Skin Mix up equal quantities of Cucumber ( Kakdi ) juice and Rose Water. Firstly wash the face and apply it in night. Wash in the morning. Take 100 ml. of Tomato Juice and mix with two spoon of Lemon juice. Massage this on to the face. It helps to build the skin soft and glowing. 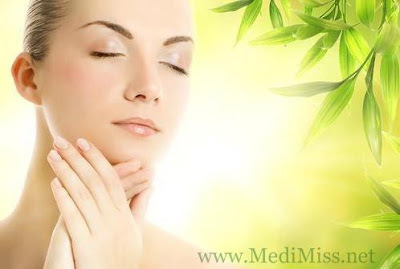 Massage Orange juice on the face and make smooth and soft skin. Prepare the paste of Carrots (Gajar) and massage it on the face. Wash it after 45 min. The skin will become shining. Honey Cure: Mix two spoon of honey with the white Egg and think Potato (Aloo). Apply it on face. Wash it after 40 min with cold water and see brightness. Honey’s natural properties help to protect the skin from the damage of the sun’s rays, supports the skin’s capability to new and refresh. How Do Sleeping Pills Work? HOW to FREEZE Aloe Vera GEL! Magical Health Benefits of " Wheatgrass Juice "
Does coffee protect you from skin cancer?